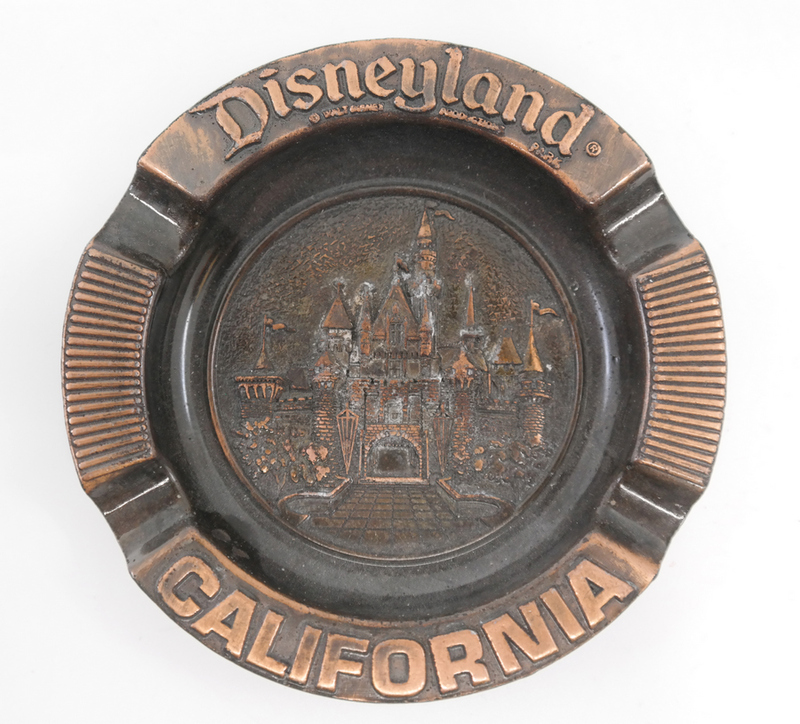 This is a vintage metal ashtray from Disneyland depicting Sleeping Beauty Castle in the center and reading Disneyland and California around the outside edge. The ashtray is not the thin tin metal that is common, but actually has some decent weight to it. 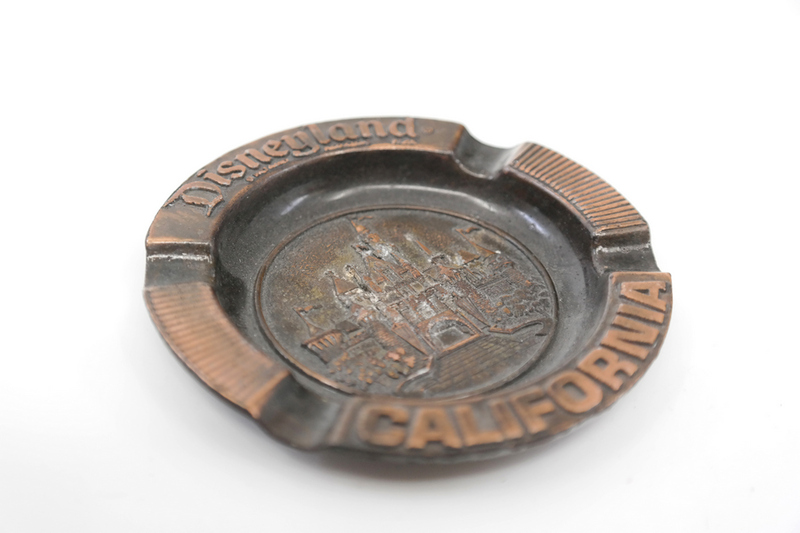 The ashtray measures 3.25" x 3.25" x .25" and is in good condition with some discoloration and patina from age.